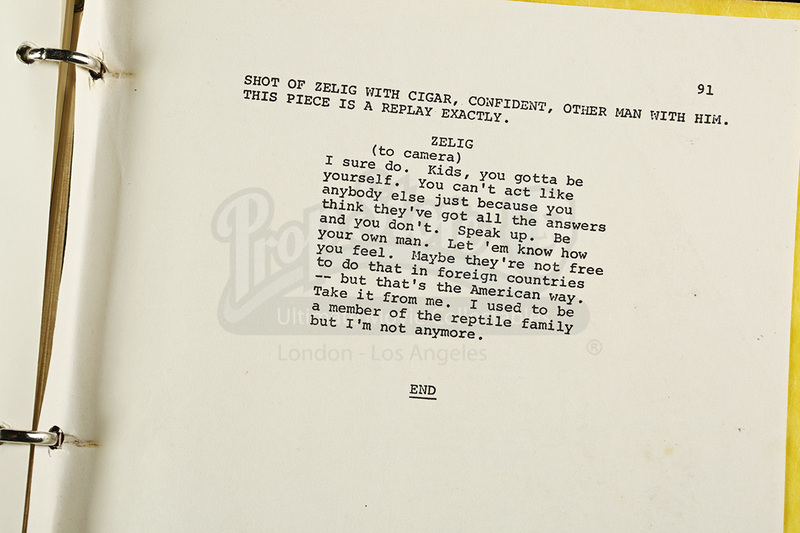 A script from Woody Allen's 1983 mockumentary comedy Zelig. 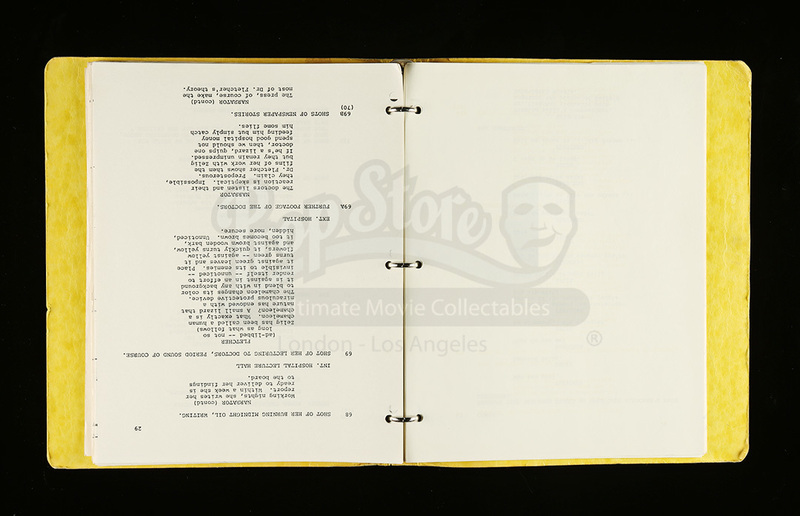 In the film, a man takes on the strong personality traits of those around him and becomes a celebrity of sorts in the 1920s. 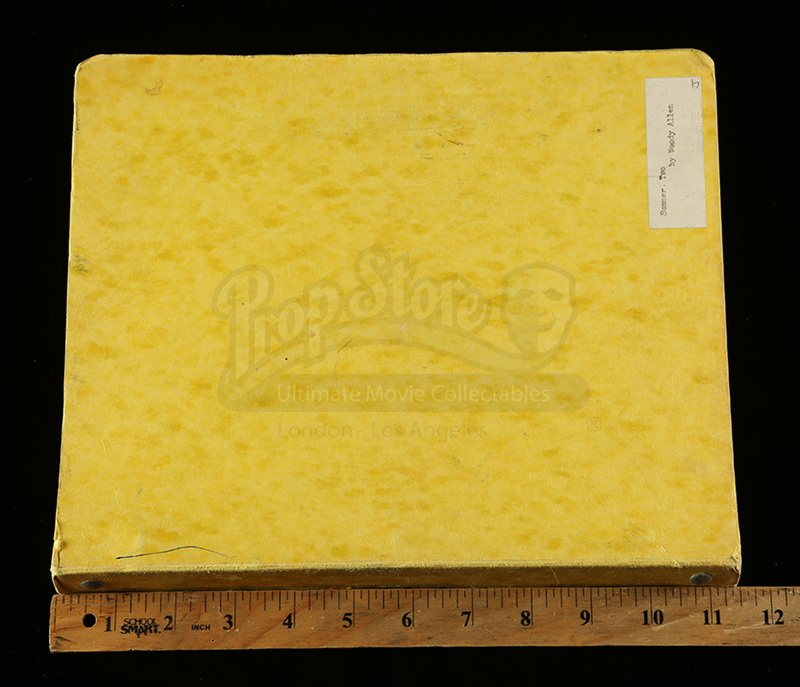 Written by director Woody Allen, the script consists of 91 pages and is held within a yellow three-ring folder. 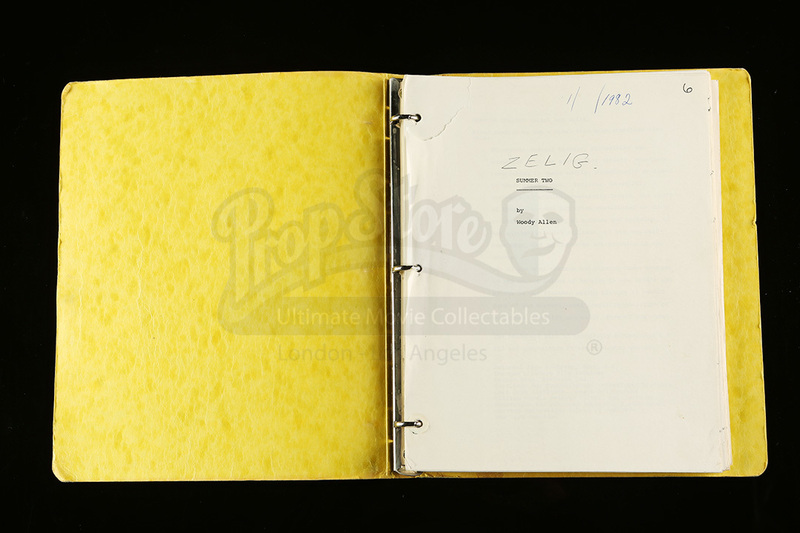 The script is entitled "Summer Two" and has the film's final title "Zelig" handwritten on the cover page along with the date January, 1982. 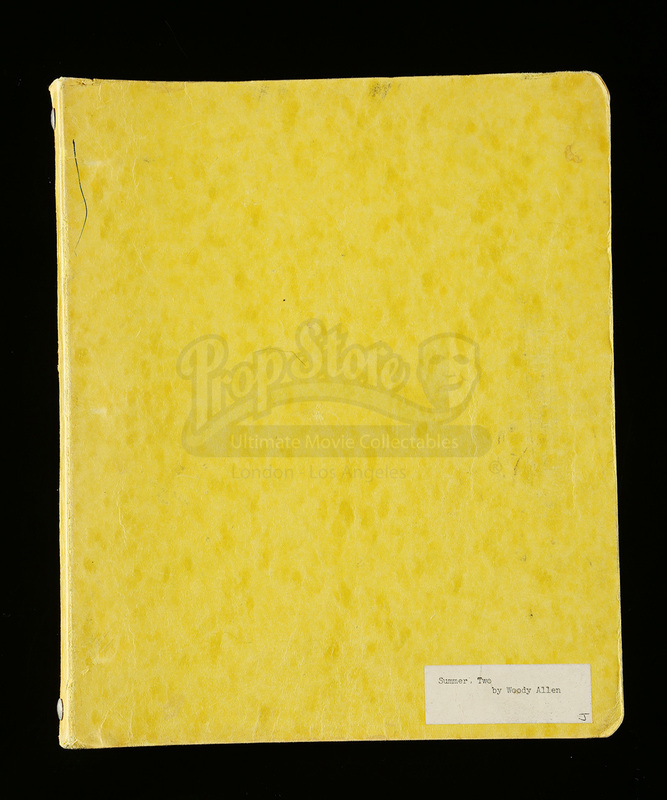 The script shows some wear from storage and age and remains in good overall condition.